Pages with the best quality content. Pages that satisfy the needs of users who visit them. But the best SEO also includes a lot more detailed work than just those high-level concepts. Getting the most out of SEO is both art and science. The “art” part is when we apply our experience, or what we’ve learned from others, to come up with overall strategies that we think will bring the best results. The “science” part is often greatly underappreciated in the SEO world. What if we could systematically test different approaches on our site and maximize the overall results? Well, we can! A Solid Hypothesis: This is where it starts. You need something worth testing, where the potential upside that may result from the test justifies the effort. A Reasonable Test Set Size: One-off tests may be something that are worth doing, but they lack statistical significance. If you’re able to test groups of pages, then you can have more confidence in the results. Clear Definition of the Desired Result: You need a well-stated goal. Is it higher CTR from the search results? Higher rankings? More traffic? Below, I’ll share some specific examples of each of these scenarios. A Dependable Way to Measure the Results: Start by establishing a baseline that you can measure against. You then need to define how you will measure and evaluate the results. A Well-Defined Control Set: A key part of measurement is to have pages that are NOT in the test that you can use to evaluate the impact of external factors outside of your test. If your test pages see great gains, but your control pages see similar (rankings/traffic/CTR) changes, then that means that external factors are the cause, not your test. Discipline and Patience: Your first few tests may not do anything of significance. Don’t give up! There is inevitably something to be found from disciplined testing, and sometimes you have to work at it to find it. This is particularly useful if you’ve got a template-based approach to meta descriptions on your site. Go into Google Search Console, and see what your average CTR is on your SERPs for a number of pages using the templated description. Now you have a baseline. Come up with a new template that you think might have a positive impact, and then take 30 to 50 percent of your meta descriptions and implement them using it. Then, monitor the results over time. See if the CTR of the pages you changed appears to go up. Use the pages that you didn’t change as your control. This is good solid testing because you have the CTR from before the change, but also the CTR of both changed and unchanged pages running side by side. Keep running different tests until you see some improvement. Note that you need to adjust for rankings changes as well to make sense of this data. I like to compare a site’s internal linking structure with its competitors to get ideas for tests. Perhaps there is an issue with internal linking that can be worked on in your site. For example, does taking key product pages on your site and linking to them directly from the home page have an impact on their rankings? This is a fairly easy one to test. Select a set of pages that currently are not linked to from your home page (the “Test Set”). Select another set of peer pages that are also not linked to from the home page (the “Control Set”). Implement links to the Test Set from the home page. See if the rankings change for the Test Set in a way that they don’t for the Control Set. My specific example is just one idea for how to test different internal linking structures. See if you can come up with some others! You can test the title tags in one test and heading tags in another, but the basic structure of each test is identical. Use one set of pages without changes as the Control Set and the pages you’re testing as the Test Set. Capture the rankings data for all of the Test Set and Control Set Pages. The purpose of the Control Set is to let you know if Google ranking changes that you see in the Test Set are due to your changes or outside factors. Make the changes in the Test Set pages, and monitor the rankings over time. If you see a positive change in the Test Set that is not also seen in the Control Set, you’ve got a solid change. You can then ripple that out to the rest of your pages. As with all the other tests, make sure you have a Test Set of pages and a Control Set of pages. For this test, you can monitor rankings, but also make sure of tracking the traffic to the Test Set and Control Set pages. With changes to on-page text, you are likely to impact rankings for “long tail” and “chunky middle” keywords, and these are keywords that you probably aren’t tracking. 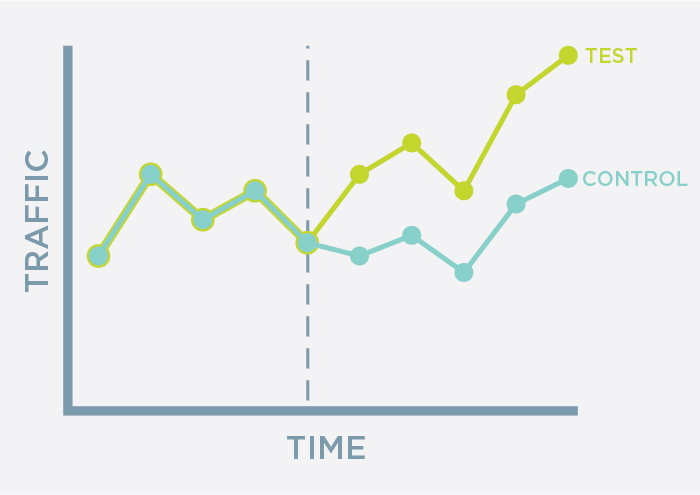 As a result, you’ll more easily see the changes in the traffic than the rankings. Once you have the tracking setup, tinker with the text content on the Test Set pages, and see what happens. 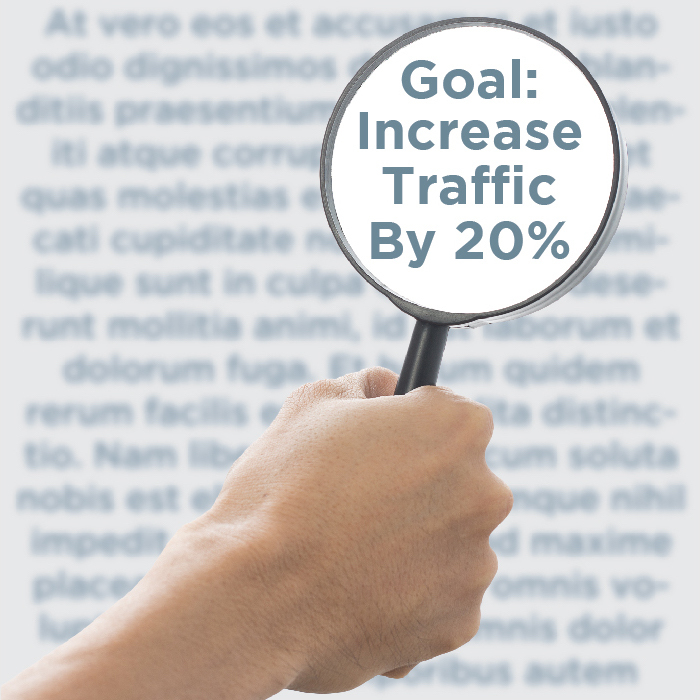 This scientific approach to SEO can bring large-scale results. It takes discipline and patience to make this happen, but it is well worth it. 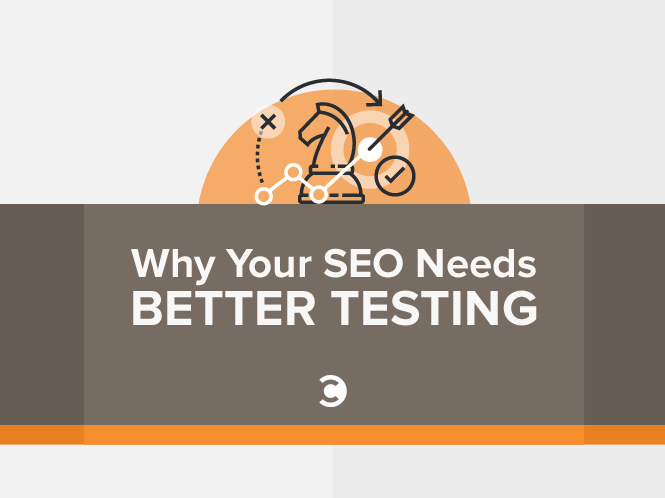 We’ve worked with clients on these types of testing strategies and seen sizable results—20 percent, 30 percent, and even larger increases in traffic. That sure seems like it’s worth the investment!